We belong to a global tribe that craves a more adventurous life, and a community that has been bound by the power of spending time in the company of like-minded doers, especially in the outdoors. Adventure isn't about ticking off the miles. We believe in the growth potential derived from completing our own challenges and being surrounded by others who are passionate about getting outside and exploring the world in their own way. Getting together online and in person to read and discuss adventure as a community will ensure that we spend more time with that valuable of resource - stories, and offer that all important incentive to finish those books each month, too. Through our collaborations with adventurous brands we provide that little helping hand for everyone in Adventure Book Club to get out there and create their own story worth sharing. adventures start with Inspiration, but it's the people around you that will help you bring your ideas to life. We're creating a community to support you to read more, share more and do more. Join us to cultivate your adventurous spirit and be part of an awesome community. Here are just a few of the adventures our members have been on or are about to go on, as a result of the books we've read. Tony's simple and comedy-filled adventure led our co-founders Chantell and Fiona to take a mini fridge on a stand up paddle board adventure in the Lake District. 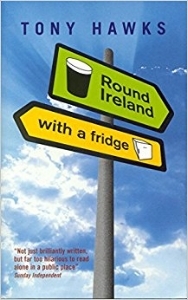 Lashing Phil the Fridge, as he become known, to their Billboards they explored the Lakes and revealed just what it is that one keeps in their mini fridge on an adventure. Having been inspired by Sean's length of Britain swim back in 2013, in which he become the first person to swim LEJOG, our co-founder Fiona will be attempting to become the first person to SUP Britain in spring 2018. 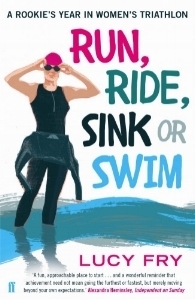 While this book revealed the highly competitive nature of triathlons, and just how incredibly hard they are, the idea of doing three different diciplins in one go did inspire our member Clare to have a go at a mindful triathlon.